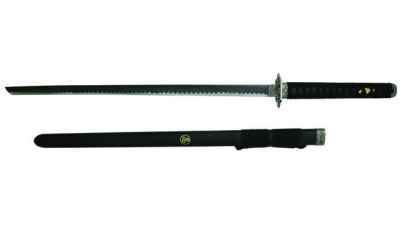 These Japanese display swords are an excellent economical solution for decorating your home. They are available in an array of colours that will work for any Japanese theme. 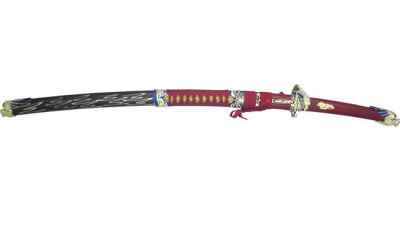 If you are a fan of Japanese culture, samurai warriors, swords and katana's or kung fu movies this is a great inexpensive way to bring an exciting centerpiece to your home. The Samurai ruled over 800 years ago and controlled the land and it's people. 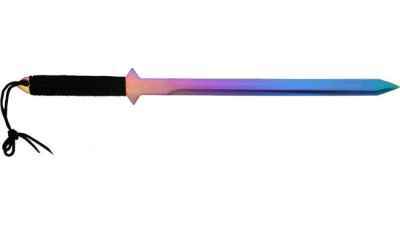 This is a very colorful ninja styled sword. This decorative katana is an example of the long sword of the Samurai. War played a central part in the history of Japan. The Samurai or Bushi were Japanese military warriors. 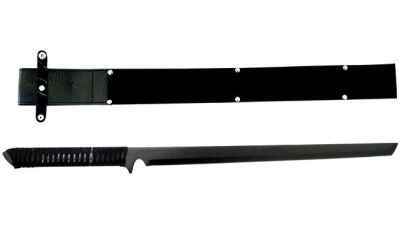 The Last Samurai Katana is 41" overall with a sharpened 27" 440 stainless steel blade. 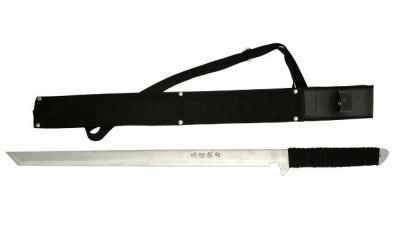 What is a Decorative Sword (Decorative Oriental Swords)? Decorative swords are made for the sword collector who wants to decorate their home with a great conversation piece inspired by history. 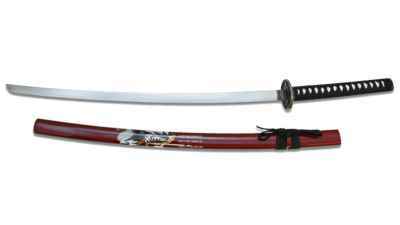 Decorative Oriental Swords are an assortment of Japanese and Chinese culturally inspired swords. 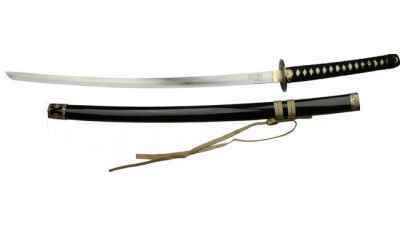 Decorative swords are designed to look like real swords and do have steel blades that can be displayed in or out of their scabbard (saya). 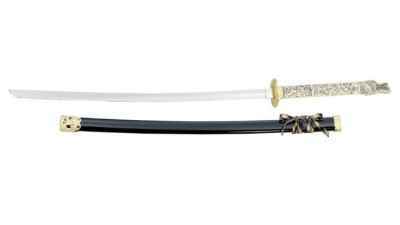 The decorative sword uses completely different production techniques than any of our functional Japanese swords or Functional Chinese swords. These pieces are designed to look like a real sword but do not perform like one. These are beautiful collectors items, but are not made for the practicing martial artist. 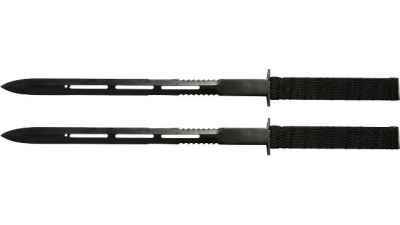 We have several swords that are made for use in the �functional swords� section of our website. Can I use my decorative sword for non-cutting practice or demonstration? At Reliks we strongly advise that any decorative sword listed on our website is not used for anything more than decoration. 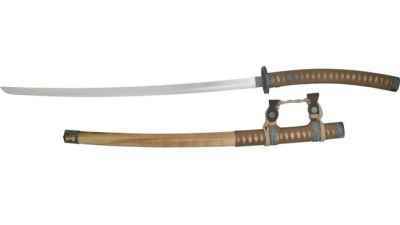 We carefully review all of the swords that we make available to our customers and list them in the appropriate "functional swords" or "decorative swords" sections of our site. Most of the decorative swords are constructed incorrectly for use and will fail if put under the repeated stress of any martial art form. This includes cutting, martial arts demonstration (kata) or any vigorous stop and start movements. Functional swords and decorative swords are produced from different steels and have different assembly and tang constructions. 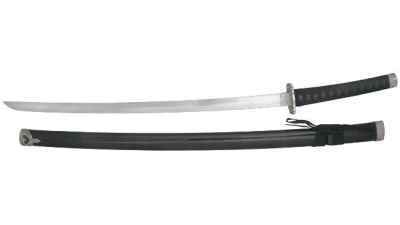 The functional sword also uses advanced steel tempering as where decorative swords usually do not have tempered or properly tempered high carbon steel blades. 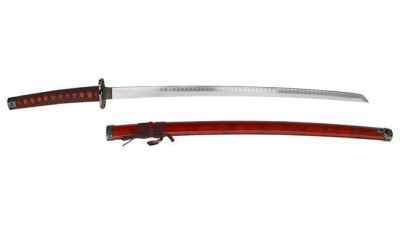 If you require a katana for non-cutting demonstration please look under �Functional Japanese Swords� and look at the non-sharpened Iaito swords.